GrandpaSoap.com – There’s something to be said about Grandparents and their magic touch of wisdom that goes into product making. Shampoos and conditioners that are carefully formulated for the many hair types. The soap bars are equally carefully formulated, all of which are cruelty-free formulas, with natural ingredients. 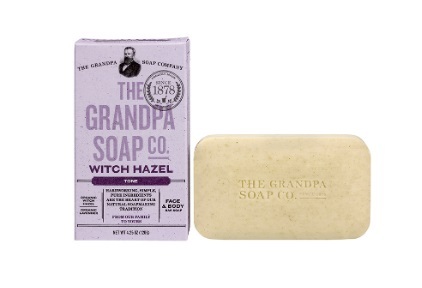 Pine Tar, Witch Hazel, Rosemary, Rose Clay and Buttermilk…just that clean feeling with the same in ingredients!